Magnolia. | Oh Look! It's A Blog! You can find all of the credits below! ISPACHI [EMERSON] Watering Can * no longer available. Nutmeg. Backyard Stool Olive * New at the Mainstore! 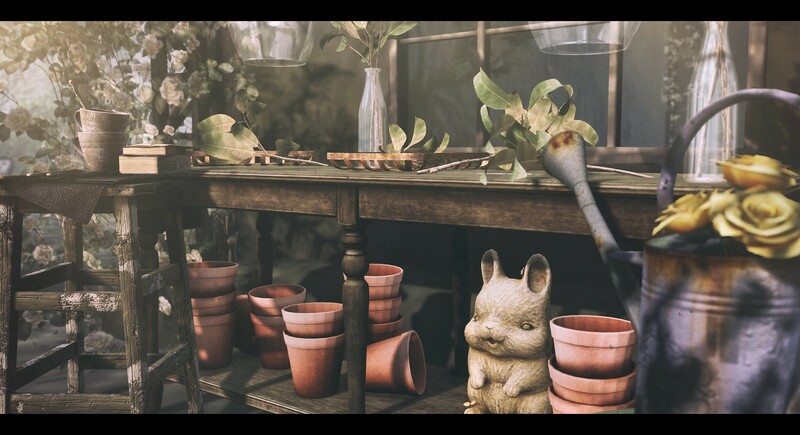 This entry was posted in iheartslFeed, Uncategorized and tagged blog, Decor, Decorate, Hive, Ispachi, Kalopsia, Magnolia, Mesh, Nutmeg, plants, Second Life, SL, Soy, Uber. Bookmark the permalink. ← All these bright ideas.